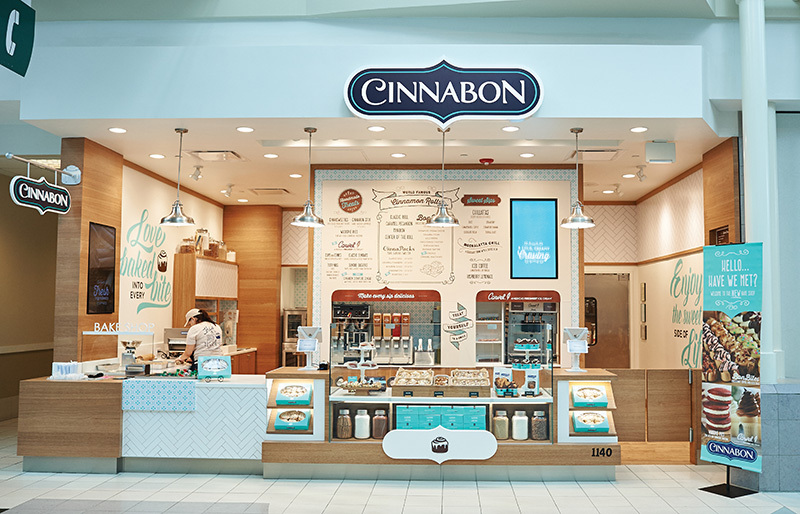 Shopping mall veteran Cinnabon sweetens the deal for franchisees, landlords and customers with a hot new prototype and lucrative licensing. Cinnabon is on a roll. The famous cinnamon roll franchise, whose presence in shopping malls has been a mainstay for nearly 30 years, is sweetening its deal. 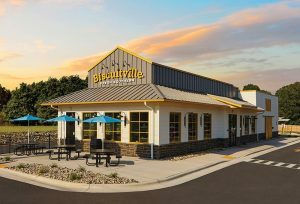 With a new store prototype exciting landlords, franchisees and customers alike, plus an aggressive push to grow its licensed products business, brand awareness for Cinnabon has never been higher — 95% — and is truly the icing on top. 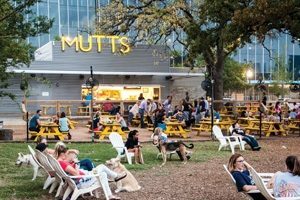 Taking advantage of brand momentum, the company plans to parlay its household name and more than $800 million in 2015 retail sales to remodel approximately 40 locations this year and open an undisclosed number of new stores domestically and abroad. Cinnabon also has unveiled a new logo for the first time in 15 years. The new look is fast and flexible. Store team members can change digital menu boards and marketing screens swiftly, as well as pull down magnetic menu boards and replace them with ease. Painted murals can be changed out like windows. The new bakery case is more flexible to accommodate smallwares if merchandising needs a change. The first Cinnabon opened in December 1985, selling only the Cinnabon Classic roll — a recipe that was perfected by chef Jerilyn Brusseau, the “culinary wizard who brought Cinnabon to life,” according to Guith. The first franchise store opened in August 1986 in Philadelphia, followed in 1991 by Cinnabon’s first non-mall location at the Detroit Metropolitan Wayne County Airport. In 2004, Atlanta-based FOCUS Brands Inc. purchased the brand . 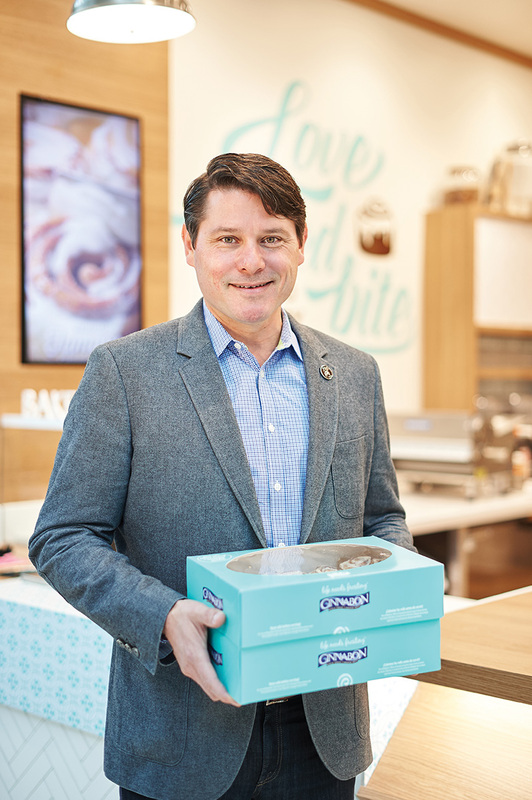 Ten years later, Guith, with more than 20 years of experience in foodservice, consumer products and retail, joined Cinnabon as chief operating officer before being promoted to brand president in January 2015. 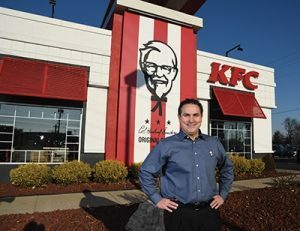 Previously, Guith had worked with The Coca-Cola Company, Molson Coors Brewing Company and Staples, Inc. His prior roles were in general management and strategy with Coca-Cola and YUM! Brands in domestic and international markets. Guith notes his work with Coca-Cola and YUM! helped prepare him for the brand-focus strategy at Cinnabon. 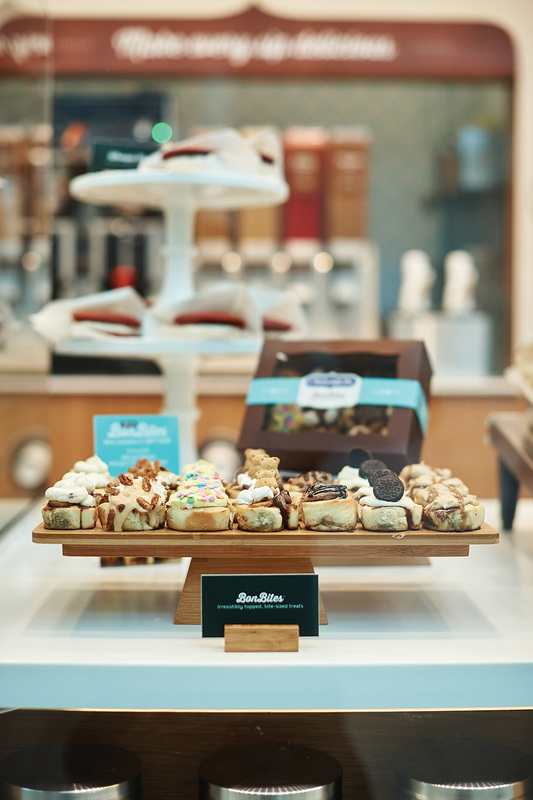 Inspired by a European pâtisserie — a type of French or Belgian bakery that specializes in pastries and sweets — and a modern home kitchen, Cinnabon’s new concept aims to fuse the two and evoke a feeling of home and hearth along with sweet, savory indulgence. “We put a ‘home’ spin on the French pâtisserie, which makes it more down to earth,” adds Guith. And then there’s the aroma. It’s critical, Guith says, to be able to smell Cinnabon products as they bake. Many franchisees position their stores specifically with aroma in mind. According to Guith, inline mall spaces do best; the aroma stays concentrated and is not able to waft away in different directions. 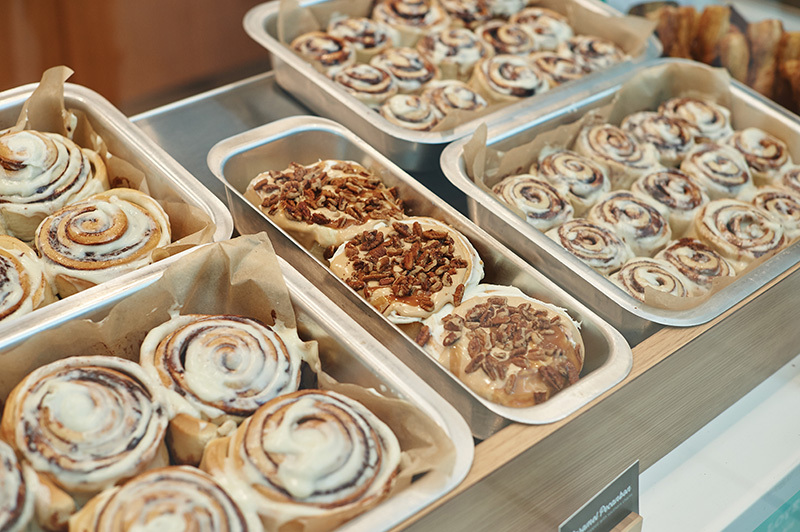 Last year, Cinnabon raked in $800 million in retail sales, and 70% of that was through licensing. 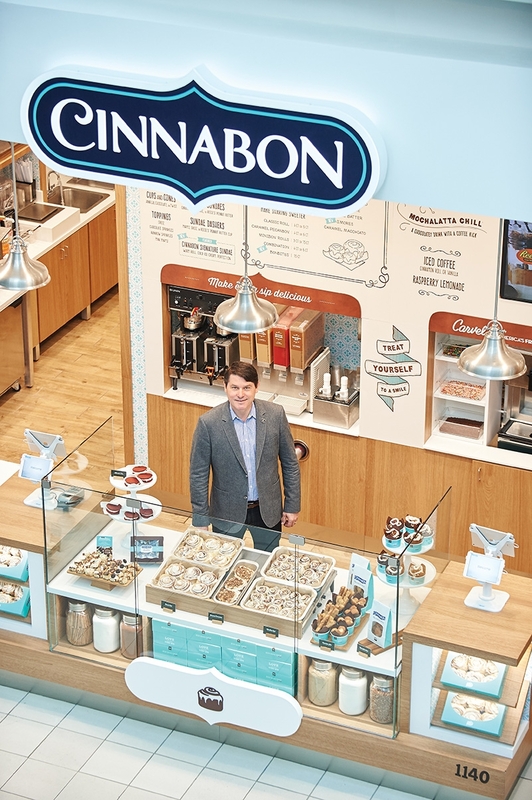 Cinnabon is growing sales through a recent investment in new operational technology, too. 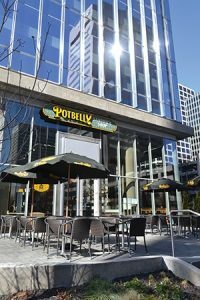 In streamlining its new store prototype, one of the first things to go was the traditional point-of-sale (POS). Instead, Cinnabon has partnered with Revel and Apple to launch an iPad-based point-of-sale. 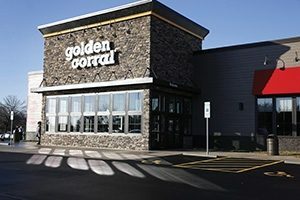 — This article originally appeared in the May 2016 of Shopping Center Business and on the cover of the July 2016 issue of Retail & Restaurant Facility Business. Email the editor at katie@francemediainc.com.